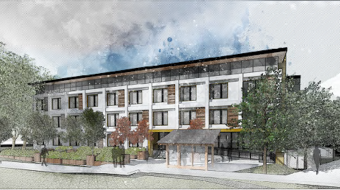 VCH wants to develop the Pearson Dogwood complex, bringing in money from apartment rentals. However, seniors and disabled Vancouverites don't want more institutionalized living. Chris Morrissey, Chair, Seniors Advisory Committee, speaking against the Pearson Dogwood Policy Statement. Disabled Vancouverites treated like cogs in a machine, even their midday naps subjected to rules and regulations. Individuals deprived of the right to live their own lives, arbitrarily disallowed from seeing their loved ones. First Nations Vancouverites living with disabilities, separated from their culture. Welcome to institutionalized living, which is now under scrutiny at City Hall. 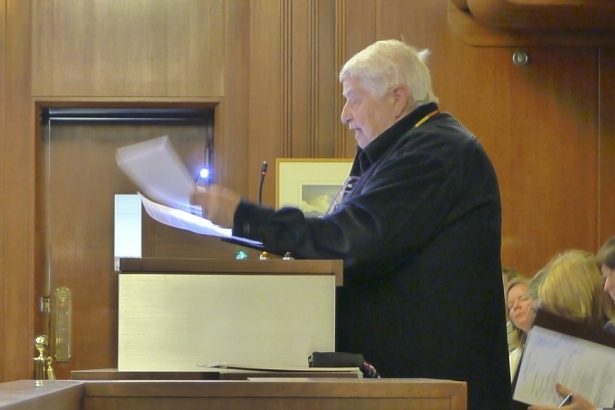 Vancouver City Council has been asked to approve the Pearson Dogwood Policy Statement, which will guide the surely-forthcoming rezoning application for Pearson Centre and Dogwood Lodge. Pearson Dogwood is nestled in Marpole. 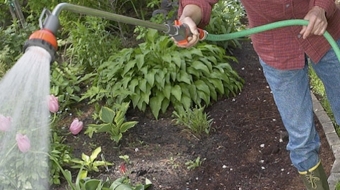 Bordered by Cambie Street, Heather Street, West 57th Ave, and West 59th Ave, Pearson Dogwood is owned and operated by Vancouver Coastal Health (VCH). Pearson Centre provides care for the disabled, while Dogwood Lodge is a senior living facility. Basically, VCH wants to develop part of the property into rental apartments, using the income to rebuild the site’s healthcare facilities. For VCH, this is a revenue-generation opportunity. For opponents of the Pearson Dogwood Policy Statement, it's a chance for Vancouver's local government to define a new direction in health care. VCH is anticipating greater value at the site, since a new SkyTrain station will eventually open at 57th and Cambie. 20% of the future units will be non-market housing; the City includes this as lining up with its affordable housing plan, but it’s been written here and elsewhere that cheaper rental housing and “affordable housing” are not the same thing. The sticking point of the Pearson Dogwood Policy Statement, though, has little to do with the real estate aspect of the plan. At issue is how we treat seniors and those living with disabilities. This argument goes well beyond a patch of Marpole real estate and jabs at the heart of our health-care industry. The Pearson Dogwood Policy Statement would allow for institution-style healthcare facilities to be built: regimented dispensation of care without input from those receiving it. Such institutions contravene Article 19 of the UN Convention on the Rights of Persons with Disabilities (" Living independently and being included in the community"), which Canada signed in 2010. In other words, a policy statement for a future development would allow the health-care practices of yesteryear to persist. Paralympic Gold Medalist Paul Gauthier said, "We cannot pass a policy statement here in Vancouver that allows for institutions to be built." Chris Morrissey, Chair of the Seniors Advisory Committee, pointed out that the Pearson Dogwood Policy Statement did not have enough focus on Dogwood and the needs of seniors. "Where the hell are we?" Morrissey acknowledged that the City has limited influence over this project, but expressed concern with lack of reference to housing for seniors besides those already living on the site. 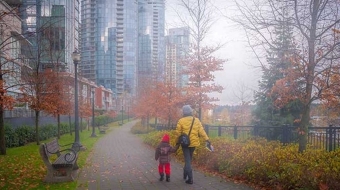 As Vancouver's senior population grows, housing will be needed even more. Nothing in the proposal for "campus of care", from VCH or anyone else. "We need to make a point... that housing and support cannot be separated when it comes to the needs of vulnerable people." Jill Weiss of the Persons with Disabilities Advisory Committee argued that the proposal confines those with disabilities to life in an institution. They'd get care "in a segregated setting", receiving "the same regimented treatment". This model "deprives them of liberty, freedom, autonomy, and choice". People with severe disabilities still have civil and human rights. This, said Weiss, is a rights issue and not a healthcare issue. Independent living, Weiss continued, is "best practice", while institutionalized living is "worst practice"; says that there is no contradictory evidence for this. Weiss was in tears as she told Council, "You said this wouldn't happen again, but it is happening again... Please help us live with dignity and equality in this city."